One of the lessons I’ve had to learn the hard way is that habits can be tricksters. Why? Because they disguise themselves as little everyday decisions that seem insignificant at the time, but over the long haul, make a world of difference. That’s why my personal definition of a habit is: Small things that make a big difference. You see, the problem with habits is that they tend to have a cumulative effect on us, but unfortunately, the results don’t show up until much later in life. 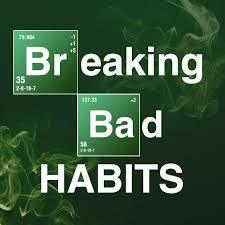 Therefore, if our habits are bad, by the time the damage is evident, it’s often too late to alter the results. That’s why I’m constantly saying, and will continue to say, “You had better take control of your habits before your habits take control of you.” And the way you do this is by BRUTALLY and HONESTLY assessing yourself and the direction your habits are taking you. This takes courage. It also takes discipline. Something we all need to understand is that the only way any of us will ever improve is if we develop a real ability to assess ourselves. Because if we can’t figure out a way to accurately do that, how can we tell if we’re getting better or worse? How can we tell if we’re on track or not? For far too many people’s biggest challenge is that they’ve been sleepwalking through their choices – they’ve programmed themselves with bad habits and routines and now they’re following them on autopilot. So how do you break this cycle? Experts believe that by becoming aware of your most trivial decisions you can loosen the mysterious grip your habits have on you and consequently, get yourself back on track. This is important, because something else I’ve learned is: You can’t change the direction you’re headed – if you aren’t aware it’s leading you the wrong way.